Black Friday is right around the corner and although I'm not a huge Black Friday fan there are some amazing deals! Last year I got so many great deals at Old Navy where everything was 50% off! My husband and I both got a ton of great winter clothes for less than $200! This year since I work in retail I'll actually be working Black Friday, which means a bright and early morning. 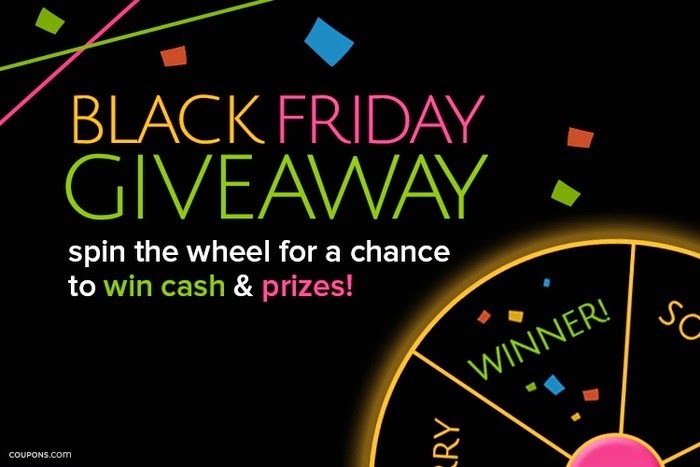 As if Black Friday deals weren't great enough, Coupons.com is hosting an amazing sweepstakes! Coupons.com Black Friday Sweepstakes is where you can win some pretty amazing prizes and the grand prize is $10,000...who wouldn't want to win that?! If you're interested in learning more about Black Friday and great deals then The Good Stuff is a great resource to check out! Black Friday articles on The Good Stuff have the best tips and advice for how to survive Black Friday, how to get the best deals, and more. 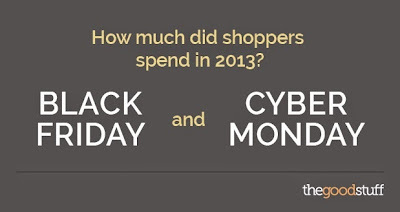 They also have an interesting article about how much shoppers spend on Black Friday vs Cyber Monday so make sure to check it out, the results are interesting! 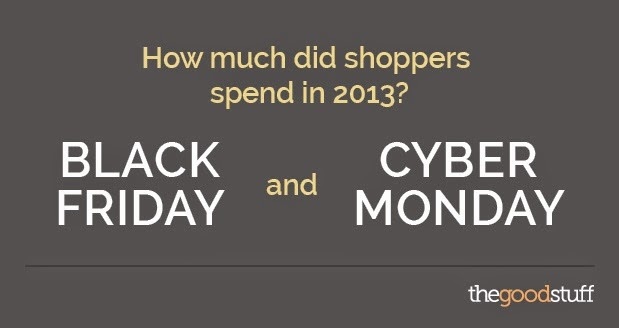 I hope you all have a great Black Friday whether you are going out shopping or not! To all you Black Friday shoppers, good luck!!! Labels: black friday, Black Friday Sweepstakes, Coupons.com, The Good Stuff.